BUCYRUS – Two Galion men were sentenced to prison on Wednesday in Crawford County Common Pleas Court. Scott D. Thompson Jr., 27, Galion, was sentenced to six months in prison after pleading guilty to one count of receiving stolen property. Thompson will also be serving the remainder of a 54-month prison sentence that was imposed by Judge Sean Leuthold two weeks ago for violating his probation from a 2012 case. Thompson will get credit for time he has served in the Crawford County Justice Center. Scott Thompson Jr.’s pleas to Common Pleas Court Judge Sean Leuthold the last time they met didn’t seem to hold much weight the next time they were face-to-face. 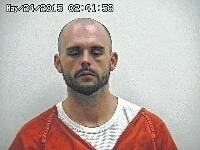 Joshua Eldridge, 29, Galion, pleaded guilty to one count of violating a civil protection order on June 10. Since the charge is a fifth-degree felony and the first felony charge for Eldridge, he would not have been prison-eligible but while awaiting the completion of a pre-sentence investigation, Eldridge made phone calls from jail to the victim in the case. Leuthold sentenced Eldridge to eight months in prison instead of filing new charges against him. Last month, Nicole Whitmore, 30, Galion, pleaded guilty to violating the terms of her intervention program and a fifth-degree felony charge but was back in court to face four counts of forgery. Leuthold sentenced Whitmore to 90 days in the county jail for the theft conviction and another 90 days on the forgery charges. He also ordered Whitmore to pay a total of $2,000 in fines along with restitution in both cases. If Whitmore fails to comply this time with the terms of her probation, she could be sentenced to a total of six years in prison.